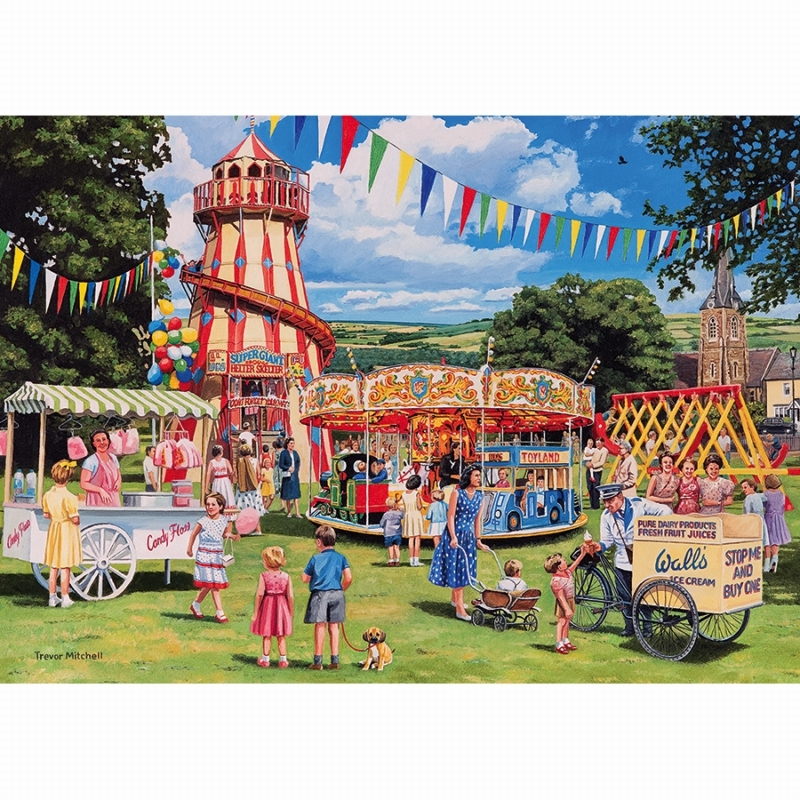 On a warm July afternoon our ever-popular ice cream salesman is enjoying some brisk business as he pedals his wafers, cornets and ice lollies to some local hotspots around the village. 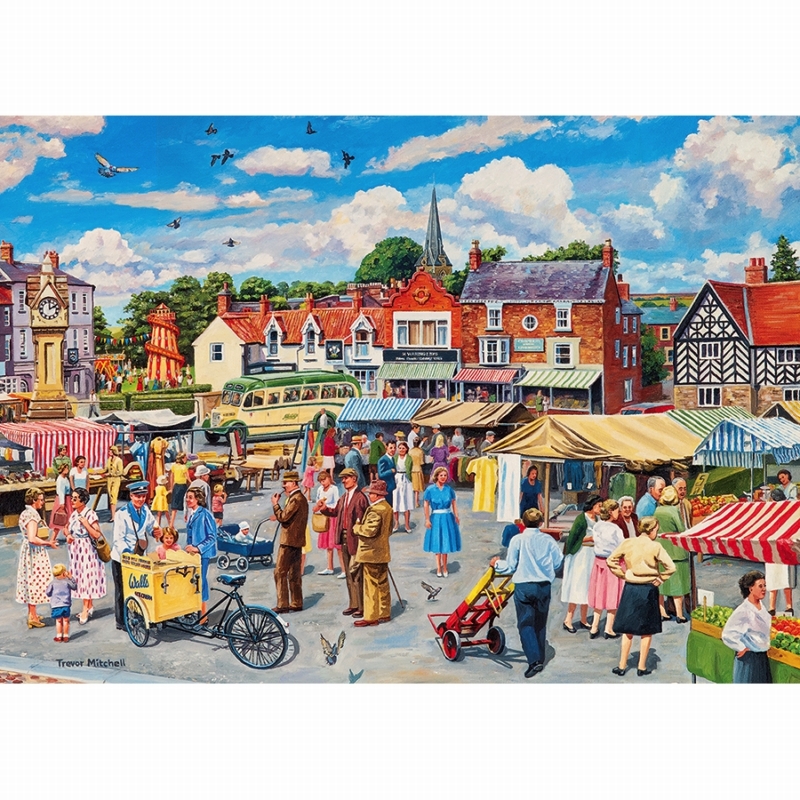 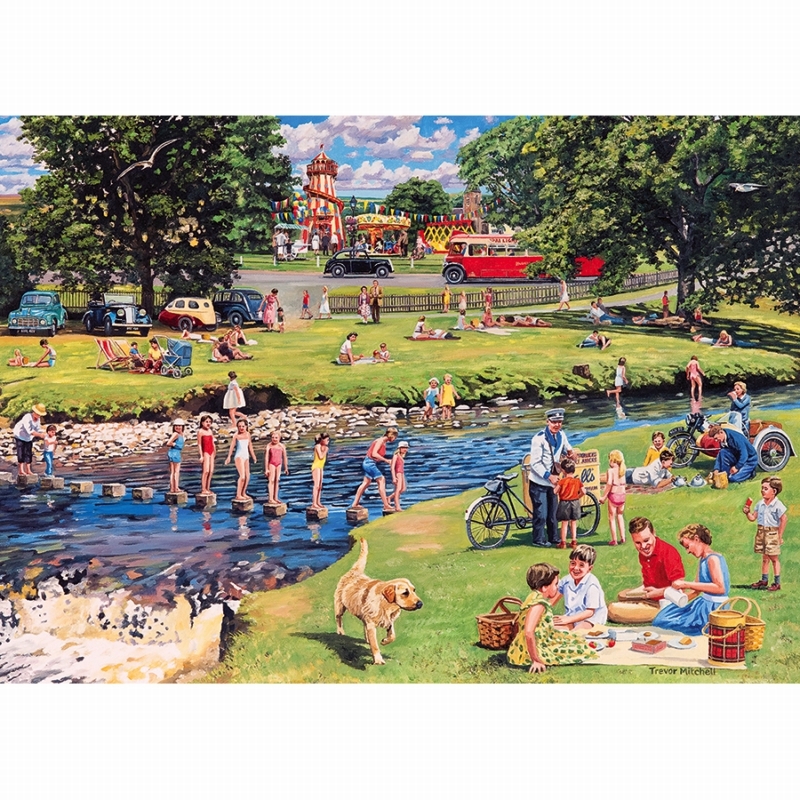 These four 500 piece puzzles tell the story of his journey, from the busy funfair, to the river where residents flock for a picnic and a dip in the cool water. 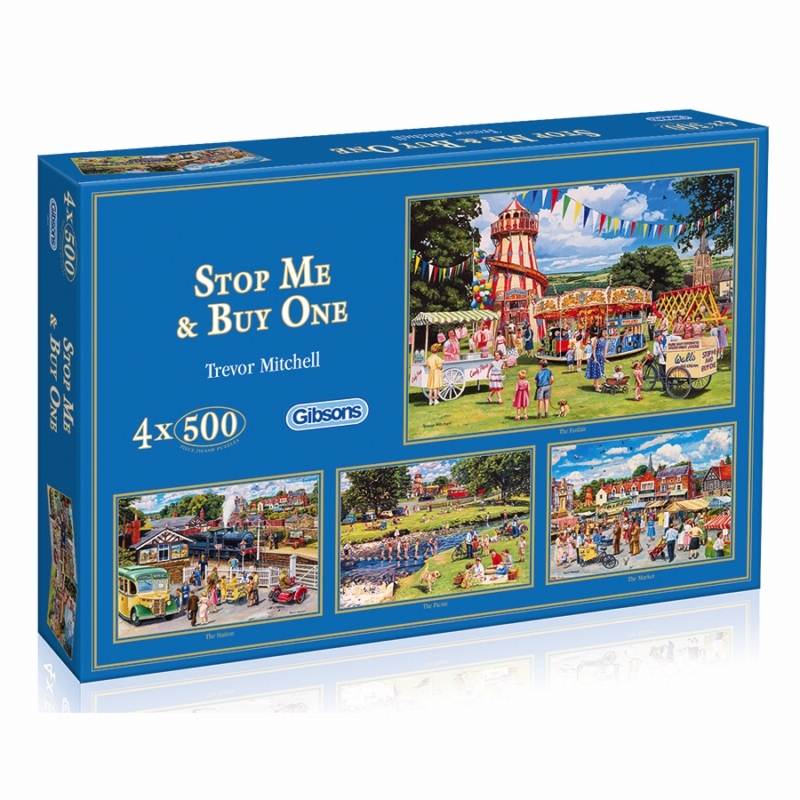 Like all of the puzzles in our range, Stop Me & Buy One is made from 100% recycled board of the highest quality to ensure the pieces are a joy to handle again and again.